ACP Now! 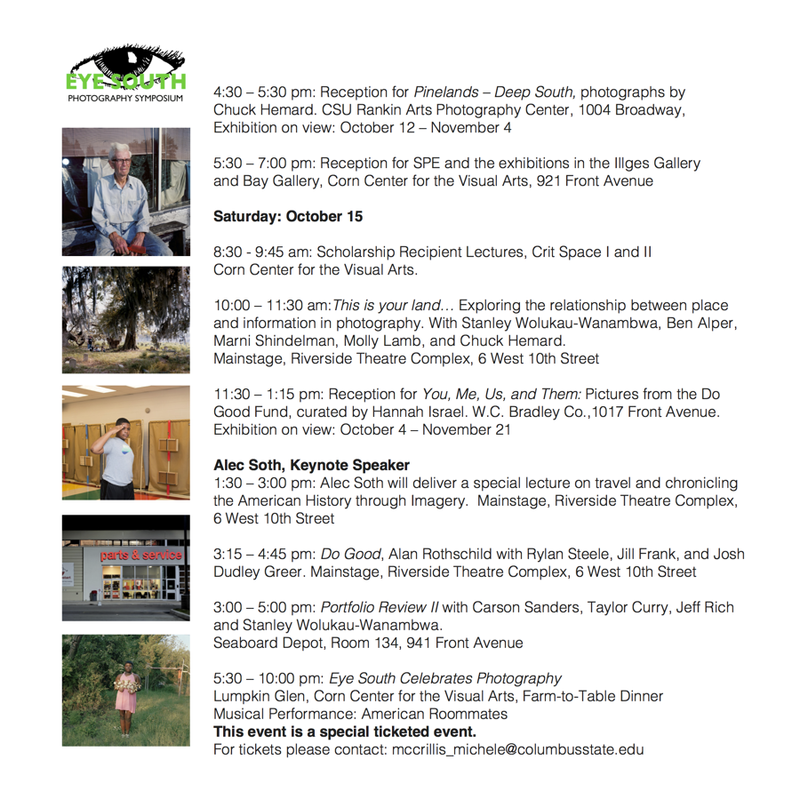 » Eye South Photography Symposium at Columbus State, Friday & Saturday ACP Now! 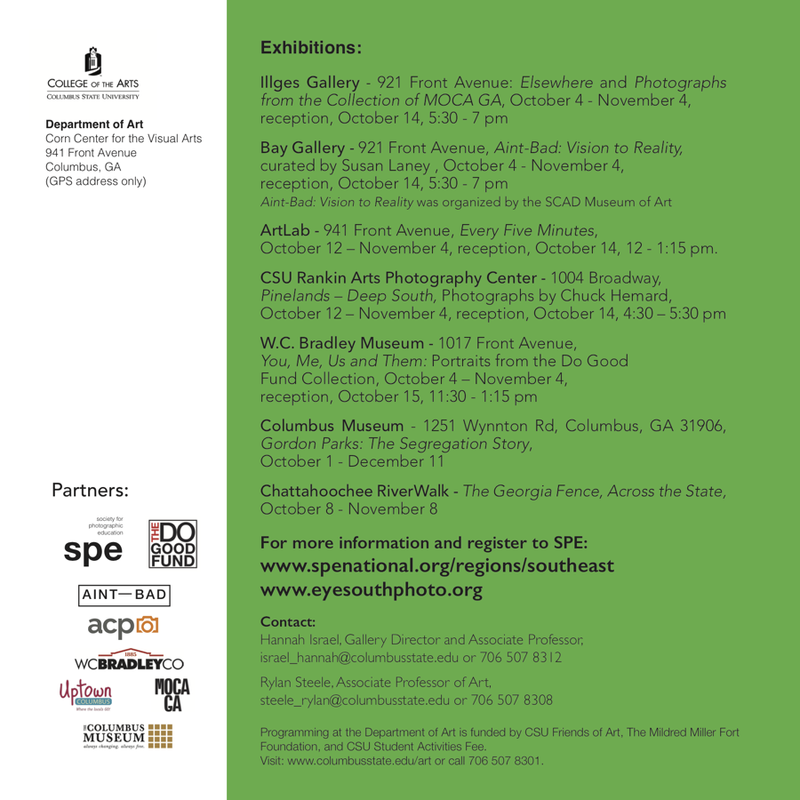 Columbus is just an hour and a half away on 85, and this Friday and Saturday, Columbus State University is hosting "Eye South", a photography symposium that is also the regional SPE conference. Here's the Festival Guide listing(s) for Friday and Saturday, with much more information and links below. 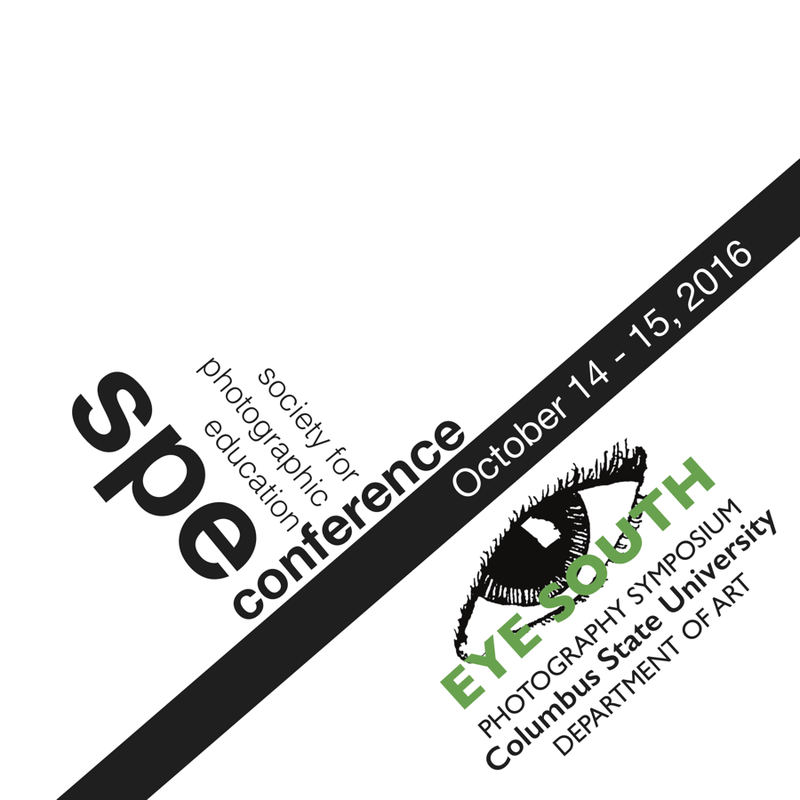 Columbus State University Department of Art will host Eye South Photography Symposium and the Society for Photographic Education Conference October 14 -15, 2016 in Columbus, GA. This event will feature artists’ lectures, panels and portfolio reviews at the Corn Center for the Visual Arts and the RiverPark Theatre Complex, CSU RiverPark campus. Exhibitions will also be featured in multiple venues around the downtown area of Columbus and at the Columbus Museum. 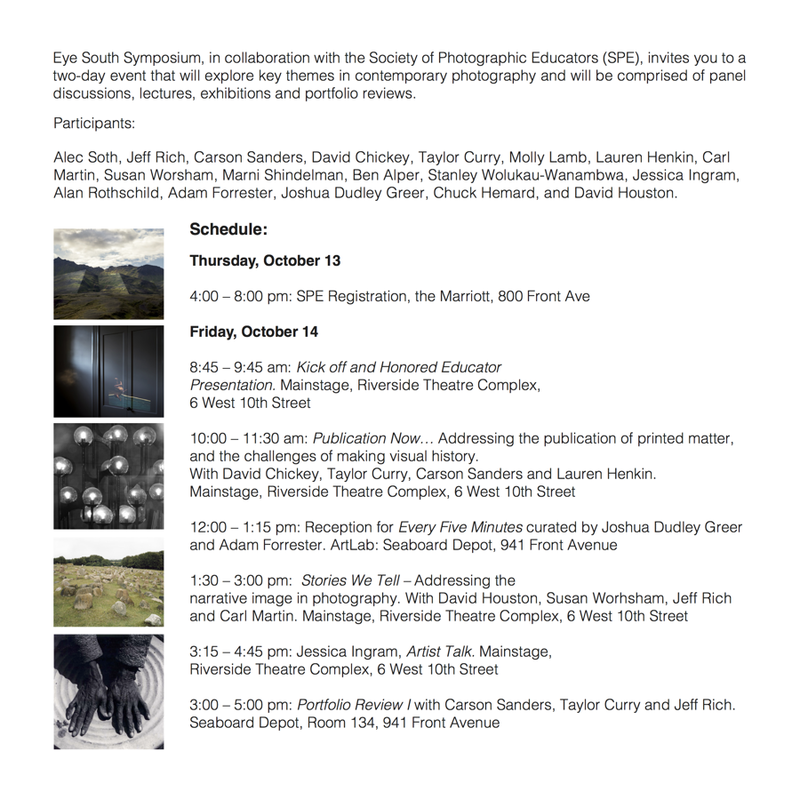 Eye South and the SPE conference is a two-day photography symposium (October 14 - 15) writers to CSU to bringing photographers, artists, publishers, curators and explore key themes in contemporary photography including landscapes and portraits of the American South, the narrative image, and the challenges of making visual history. 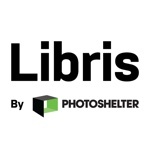 Featured speakers: Alec Soth, Jeff Rich, Taylor Curry, Mark Dorf, Molly Lamb, Lauren Henkin, David Chickey, Jessica Auer, Carl Martin, Ben Alper, Jessica Ingram, Susan Worsham, Marni Shindelman, Chuck Hemard, Stanley Wolukau- Wanambwa, Joshua Dudley Greer, and Carson Sanders. Columbus State University Department of Art has partnered with the Do Good Fund, The Society for Photographic Education, The Columbus Museum, Uptown Columbus, CSU Rankin Photography Center, Atlanta Celebrates Photography, MOCA GA, Aint-Bad, SCAD, and the W.C. Bradley Co. Museum to make this event possible."